Internationally-acclaimed artist and Quincy native Dean Mitchell announces the grand opening of The Marie Brooks Gallery, located at 11 West Jefferson Street in historic downtown Quincy Florida, Saturday November 11 from 10:00am to 5:00pm. The gallery is named for Mitchell’s maternal grandmother who inspired him to become an artist. Mitchell often walked downtown with his grandmother, under the shade of her umbrella, to the local fish market located where the gallery stands today. Across the street was McCroy’s, the five and dime store where she purchased a paint-by-number set for him when he was five. 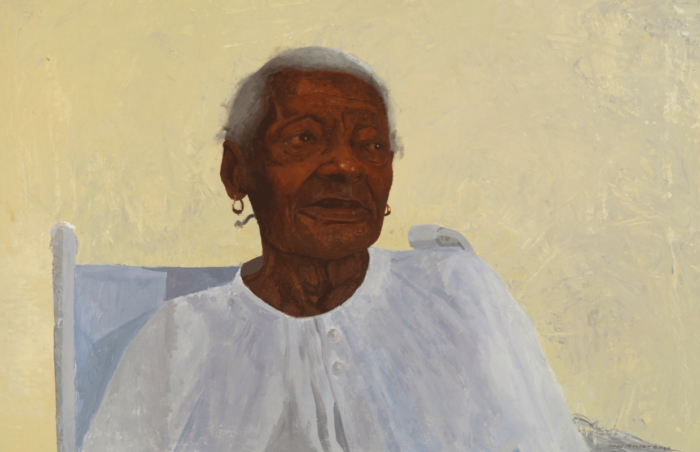 She knew nothing of art other than her grandson had found something he loved to do. That simple, historic purchase changed the course of his life forever. Mitchell’s hope is that the gallery and his story will inspire others to work hard and follow their dreams, and to bring hope to all who cross through the doors. Dean Mitchell was born 1957, in Pittsburgh, Pennsylvania and reared in Quincy, Florida. He graduated from the Columbus College of Art & Design in Columbus, Ohio. Mitchell has been featured in numerous publications, including the New York Times, American Artist, Artist Magazine, Fine Art International and Art News. His art can be found in corporate and museum collections across the country, including: the Library of Congress; Nelson-Atkins Museum of Art, Kansas City, Missouri; Mississippi Museum of Art, Jackson, Mississippi; Saint Louis Art Museum, Saint Louis, Missouri; Kemper Museum of Contemporary Art, Kansas City, Missouri; Nerman Museum of Contemporary Art, Kansas City, Missouri; Beach Museum of Art, Manhattan, Kansas; The Autry National Center, Los Angeles; The Arkansas Art Center, Little Rock, Arkansas; Gadsden Art Center and Museum, Quincy, Florida; and the Canton Museum of Art, Canton, Ohio. 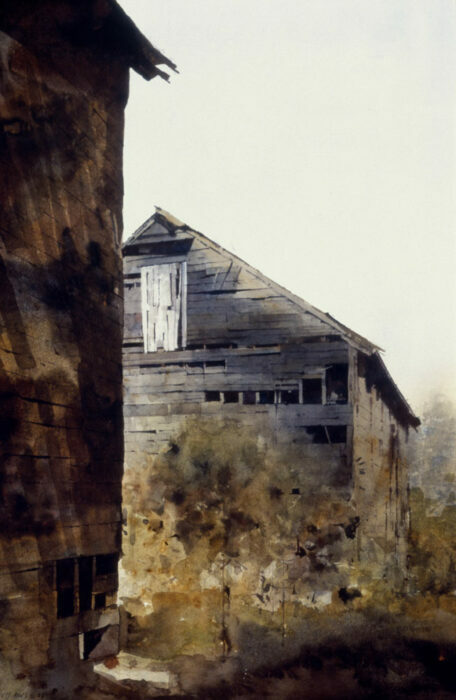 He has received hundreds of awards in his lifetime including the American Watercolor Society Gold Medal, Allied Artist of America Gold Medal in Watercolor and Oil, Thomas Moran Award from the Salmagundi Club in New York, Remington Professional League, and for three years in a row the Best in Show Award from the Mississippi Watercolor Society Grand National Competition. 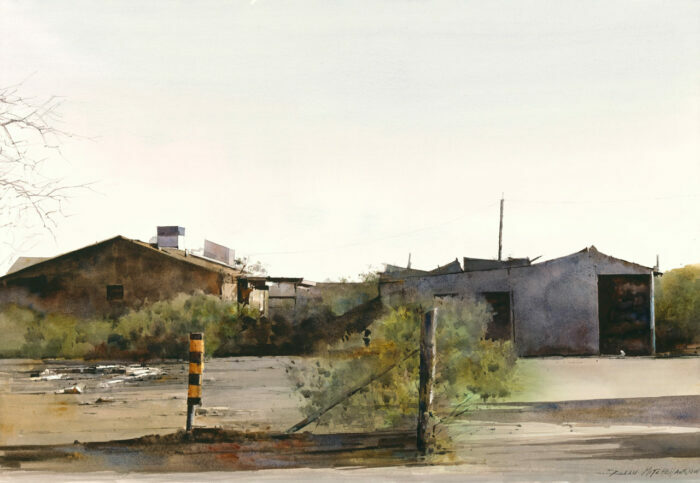 In 2004 and 2007, he received the Autry National Center Award for Watercolor at the Masters of the American West Fine Art Exhibition and sale. 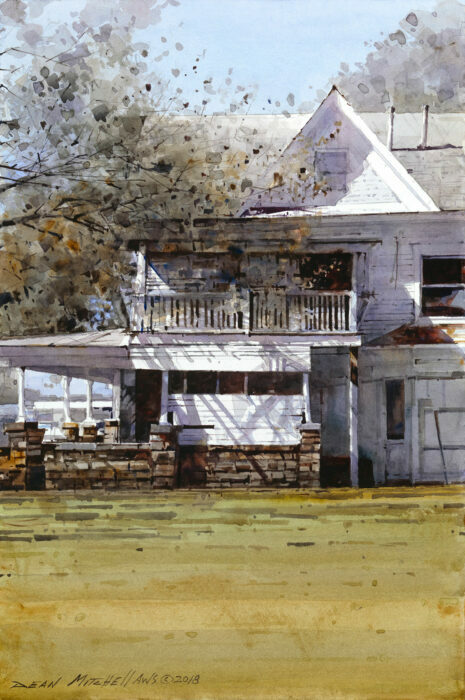 Mitchell is a member of several professional societies, including the American Watercolor Society and the National Watercolor Society. Mitchell has come full circle to give back to the place where he and his grandmother, Marie Brooks, both called home. 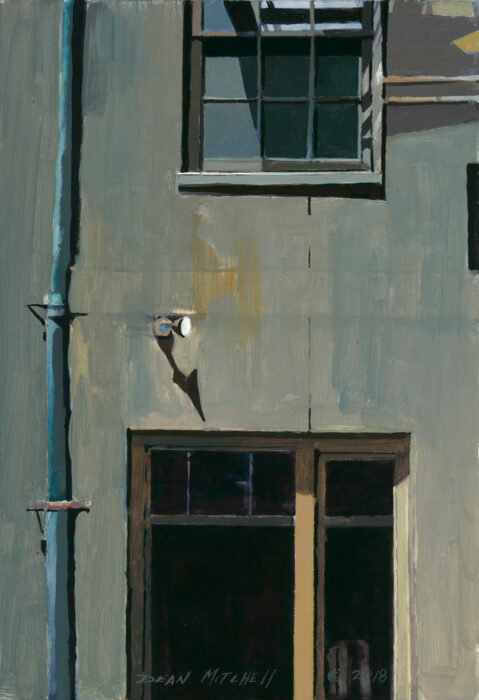 The Marie Brooks Gallery will exclusively feature works by Dean Mitchell. The gallery will feature rotating exhibits by the artist Dean Mitchell. Workshops and drawing classes will be offered by Dean Mitchell. Lectures on art and culture will be presented to encourage business development in the area. Work with Gadsden Arts Center and Museum to encourage a love of art, promote and support scholarships in the area. Work with local business and community leaders to educate and inform the role of arts in a culture, how art affects our everyday lives, and the importance of art in a thriving community. Next post: Grand Opening Day!